The Arcules Solution - Solutions-VSaaS - Arcules - View the feature set. No matter where you are, you can access any camera from any device at any tie. Alarms and notifications can be sent from any location, to any location. No need for servers, GSOC or 24/7 security staff. From monitoring cameras to setting alarms and notifications, your organization can proactively respond to security events. Your data is secure: ARC2 encrypts data that is pushed to the cloud. Built-in features and analytics enable you to identify criteria that may lead to potential security risks so you can proactively respond. Today's modern, growing enterprises want more from video monitoring systems. They're demanding analytics to optimize business operations. With cloud-based, built-in analytics you can analyze data to efficiently plan staffing, optimize workflows, boost customer satisfaction, and more. From one intuitive, easy-to-use interface you can manage views across all of your company's locations, organize user and group permissions, check the status of cameras, set up alarms and notifications, and view security and business analytics. No need to log on to different platforms. Arcules simple gateway and proprietary ARC2 software streamlines set up. Plug into your network and let ARC2 autodiscover cameras. Manage views, users, alarms and analytics with the most intuitive user interface available today. With Arcules, you can remotely schedule updates and security fixes, reducing the cost and burden on your IT staff. Save time, as the latest software is automatically updated. Multiple locations? Satellite offices? Business expansion? 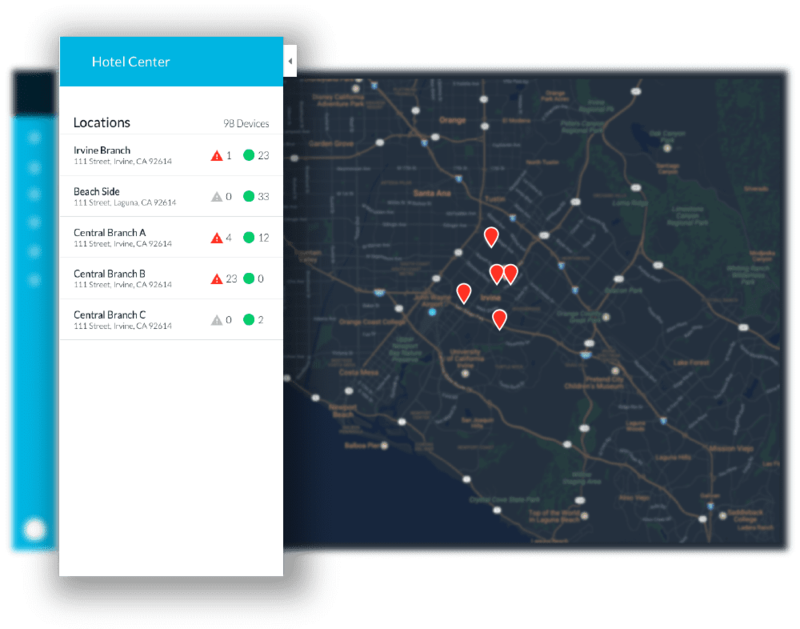 Arcules centralized management and monitoring enables you to look across your organization and geographic locations at any time, from anywhere, on any device. One unified platform for your entire business. Not only can you access live and video playback from any camera from anywhere, but you get continuous video recording even during an Internet connection loss. Built with the latest Artificial Intelligence and Machine Learning technologies, Arcules delivers analytics across your organization. Utilizing heat maps and people-counting features, you can gather insights to prevent loss, reduce risks, and improve business operations. Learn how Property Management Companies can use Arcules video surveillance to meet the challenges of keeping people and properties safe while improving overall efficiencies. The Arcules Integrated Video Cloud solution is designed to ensure security, scalability, reduced operations, and bandwidth management – all on one platform. We built our platform from the ground up so that every component, connection, and data flow work to create the optimal customer experience for today and into the future.